Our St. Louis Auto Accident Attorneys can help you get compensation for burn injuries resulting from a car accident. Talk to a Lawyer for Free 24/7 at (314) 361-4242! Whenever two vehicles collide at a high speed on the roadway, the results can be traumatic and catastrophic. Due to the presence of highly explosive engines and flammable gasoline, the chances of the colliding vehicles catching a fire are high. Car fire can lead to severe burn injuries and even death. 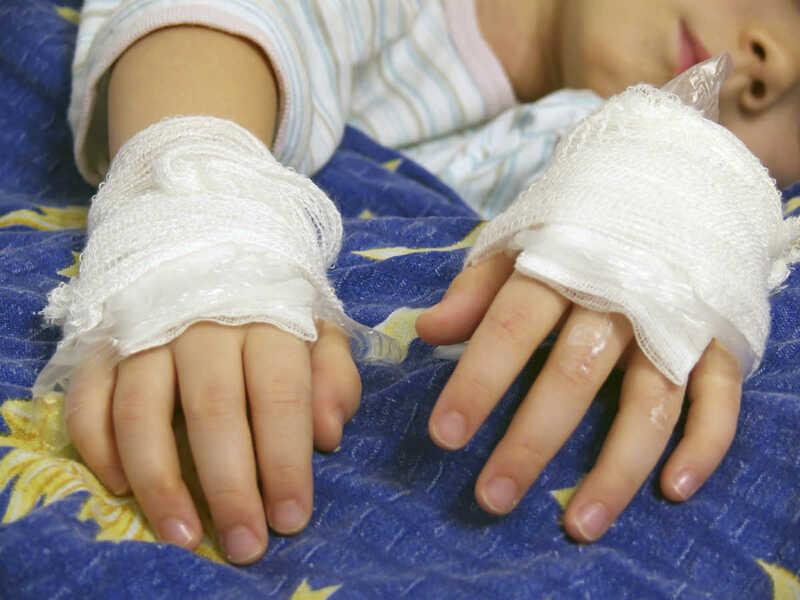 Because of the severe nature of burn injuries, a victim who survives may require immediate and intense medical care, long-term treatment, and rehabilitation. Burn injuries can leave scars or disfigure a victim, necessitating plastic surgery and other firms of reconstructive surgery. First degree burns: Burns that affect only the outer layer of the skin are classified as first degree burns. These burns may cause the skin to become red and hurt, but it usually does not blister. Second degree burns: These are deeper than first degree burns and cause the skin to become red or blistered. Third degree burns: These are also known as full thickness burns and damage the outer skin layer and the layer underneath. It may also affect the underlying tissue. The skin may become charred and white. Fourth degree burns: These are the most serious types of burn injuries and they not just destroy the skin but also damage the muscles, bones, nerves, and tendons. It is not always easy to get the insurance company to pay all expenses related to a car accident. The medical expenses in addition to time out of work usually creates a huge financial burden on the victim; making matters worse when the victim is already suffering from physical pain and mental trauma. In order to get fair compensation for your burn injuries, seek help from a St. Louis auto wreck lawyer. When you are injured in a car accident and have to seek financial compensation, time is the essence. Act quickly to protect your rights. Call The Hoffmann Law Firm, L.L.C. at for Free 24/7 at (314) 361-4242!